Seremban, May 8 – It’s that time of the year again as IJM Corporation Berhad ran its annual Give Day Out (GDO) recently, succeeding their GDO 2016 event last December in conserving and developing the greenery and environment of the S2 Trail, Seremban 2’s nature trail for the Seremban community. An annual event since 2011, IJM GIVE Day Out (GDO) involved all employees from all divisions across Malaysia, India and China to participate in carrying out CSR initiatives of their choice together for one day, with the main focus for year 2016 / 2017 being environmental preservation, rolling on the theme ‘Fun with Nature’. Mr Leong Fook Yew, General Manager of IJM Land said that this continuation from their last outing in December in adopting and preserving the nature trails allow for IJM staff members to pull in their collective effort to maintain these trails, keeping them safe and well-groomed for the community. “This event is in line with IJM Land’s strong commitment in “Bringing Life to Ordinary Space”, elevating the standards of living and quality of life of the communities that we operate in. “Raising awareness of the environment has always been our motive for GDO since day one; exposing to our people how we can make every IJM Land developments in Seremban 2 livable and appreciate the idea of living among greenery that would emphasise individual’s life to be healthier and joyful,” said Mr Leong at the development site recently. As IJM Land is expected to participate in these initiatives following their successful stint in 2016 supplying the needs and requirements of its nature trail, IJM called upon its nature-friendly staff from Seremban again to create a bigger impact for the community. 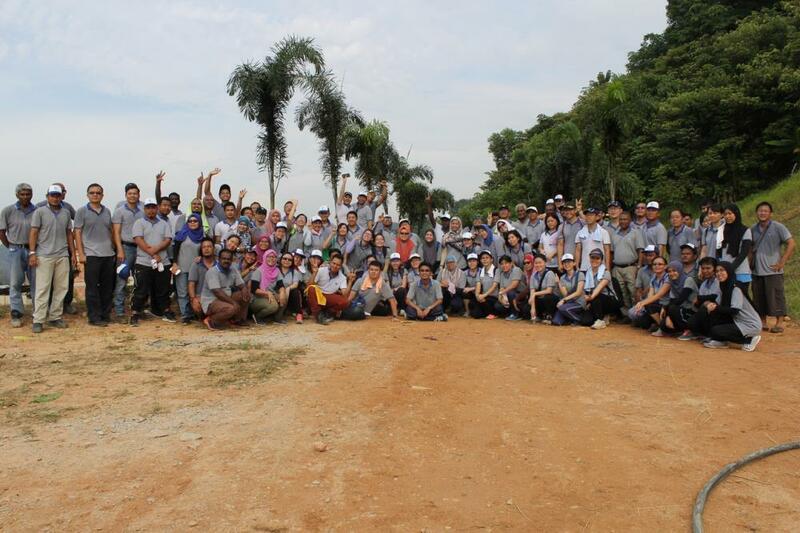 With the supportive participation of 107 IJM staff members from three different divisions (Property, Construction and Industry) in Seremban, different roles for each division were partaken at the GDO 2017 in enhancing the S2 Trail – including the planting of various exotic species of trees such as Disonia Alba, Rhoea Discolor, Foxtail Palm and Murraya; shrub and turfing of the greeneries; placing stepping stones and benches, collecting rubbish and trimming of branches along S2 trail and clearing the pathways etc. dedicated towards the development of the S2 Trail and nature conservation. IJM understands the full commitment of upkeeping and improving of the adopted nature trails, and more enhancement work will be done at GDO 2017 to make it more accessible and user-friendly for the residents and visitors to the trail. “As responsible individuals and also in an industry developing and providing homes to others, we want to use this opportunity to build camaraderie among our colleagues while being involved in a meaningful cause and at the same time, have fun with nature within our sustainability framework,” said Mr Leong. After the success of GDO 2017, IJM Land has officially opened S2 Trail to be enjoyed by the public starting from 7 May 2017, with the third edition of GDO 2017 to happen on 14 October in maintaining the development and conservation of S2 Trail. 107 IJM staff members from three different divisions (Property, Construction and Industry) in Seremban participated for IJM Corporation Berhad’s Give Day Out (GDO) 2017 – enhancing the greenery and environment of the S2 Trail, Seremban 2’s nature trail for the Seremban community. 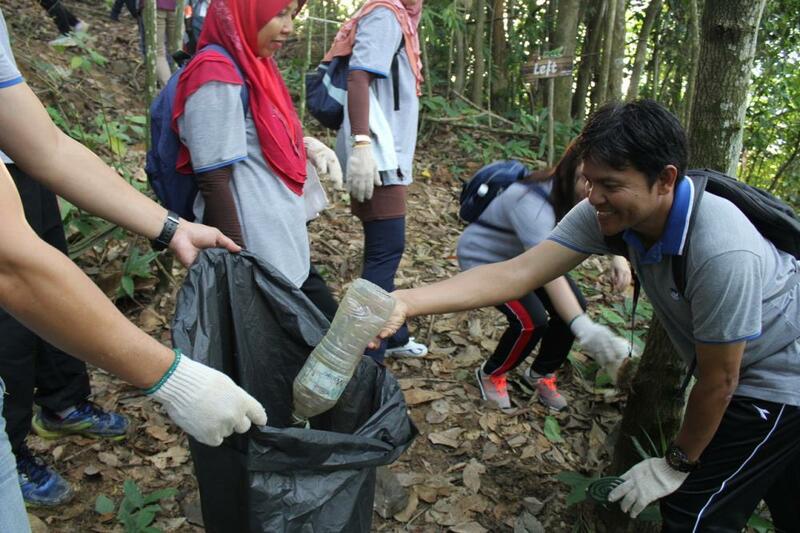 In addition to planting trees, IJM nature-friendly staff members also collected rubbish and cleared the pathways for the development of the S2 Trail and nature conservation.